When orphaned Oliver Twist asks for more food, the workhouse board are horrified and immediately pack him off to work for an undertaker, who treats him badly. Oliver runs away and finds himself in the streets of London, where he meets the Artful Dodger and is lured into a gang of young pickpockets, led by the evil Fagin. Even amidst his horrible surroundings, Oliver escapes and finds his way into a loving home. But Fagin's gang are determined to steal him back to their life of crime, coming closer and closer... Dickens' classic tale of an orphan boy who has adventures with pickpockets and thieves, is here brought to life in a dramatised reading with a full cast! Scheming Fagin, cruel Bill Sykes and innocent Oliver tell their stories in their own voices, as dramatically as Dickens intended. 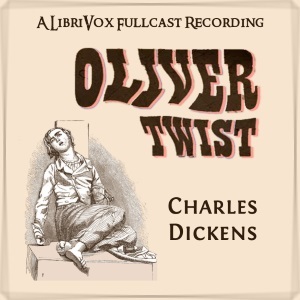 Oliver Twist has been made into several movies and a musical, as the themes of social justice and the triumph of goodness over evil are perennially appealing.